The art of type design is for a special breed of designer. The insane attention to detail required to create typefaces is enough to drive the average person crazy, as every subtle curve and rule matters. One tiny mistake is the difference between a masterpiece and junk. If you’re a novice to the world of typography, you’ll most likely be familiar with text type, or fonts created to be legible and readable at small sizes. Adobe Caslon, for example, is a great text typeface for large amounts of text (like books). 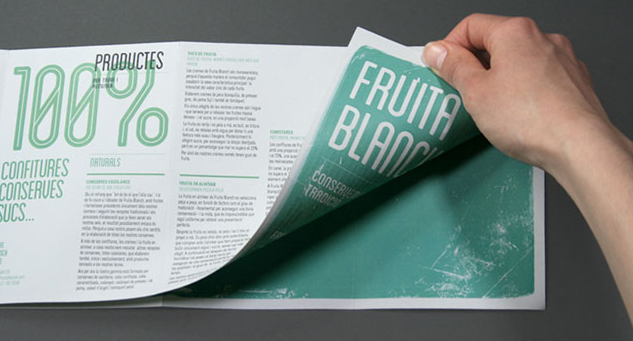 Blanch is a display typeface that was originally created for Fruita Blanch (makers of fine jams). According to the designer, the typeface family came about from a search for a traditional font with a contemporary feel. Ribbon is a geometric, decorative face by Dan Gneiding, and is downloadable through the Lost Type Co-op: a pay-what-you-wish type foundry. Vevey is a dreamy, refined sans serif inspired by a vintage travel poster found in the Swiss Riviera. There’s something peculiar about the balance of thick and thin strokes that creates a lot of visual interest. Folk, which is in the process of becoming a complete font family via Kickstarter, is a goofy and casual display font with tons of personality. League Gothic is a remake of an old classic that recently became part of the public domain. It was originally designed by Morris Fuller Benton for the American Type Founders Company in 1903. Ostrich Sans is a gorgeous modern sans-serif with a very long neck and a whole slew of styles & weights. Oh Mai Mai, by Jorge Artola, is a strange, ink blot-like typeface with unexpected balance and legibility. Quicksand is a sans-serif typeface, influenced by the geometric-style sans serif faces that were popular during the 1920s and 30s. Color Lines is an experimental font that, because of its complexity, cannot be made into an actual font file. It’s available as a vector for use in Photoshop, Illustrator, etc.